Well, it finally happened. After many interruptions, thanks to other books that made it into my reading pile, I finally capped off Gibson’s Bridge Trilogy with All Tomorrow’s Parties. And as usual, Gibson’s combination of high-tech gadgets, low-tech environments, and an assorted crew of characters are all there in full force. And, interestingly enough, I also noticed some decidedly Gibsonian traits that appear in his other trilogies. For one, there’s that tendency of his where he switches main characters between the first and second novel, then bring them all together again for the third. And then there is his ability to end a story abruptly and in a way that’s both confusing and a little short on explanations. As you might be able to guess, I had a few problems with this book, but none to write home about. Mainly, I thought it was a fitting and faithful ending to his second trilogy, chock-full of insights, ideas, and cool concepts. The novel takes its name from the song of the same name by Velvet Underground, which was apparently inspired by their contact with the Andy Warhol clique. The story opens in a Tokyo subway station, where the character of Colin Laney (the protagonist of Idoru) is now living in an improvised “cardboard city” with other misfits. Inside this assemblage of boxes, he spends all of his time online, following the exploits of a media baron known as Cody Harwood. Consistent with the effects of 5-SB, the drug that gives Laney his ability to discern patterns of information, he has become obsessed with this celebrity figure. However, he also sees that a nodal point is fast approaching, and that Harwood is at the center of it. What this node is and what it entails, he cannot say exactly. All he knows for sure is it will change everything, and is set to go down in San Fransisco. To uncover the details of this , and perhaps stop it as well, he enlists help from the people of the Walled City – a virtual environment in cyberspace – Rei Toei (the Idoru), and Berry Rydell (the protagonist from Virtual Light). Meanwhile, Chevette Washington, the bike courier from Virtual Light, is also on her way to the bridge. Her new roommate, a film maker named Tessa, wants to go there so she can do a documentary on the people, how they live, and study the phenomena known as “interstitial places”. Pursued by her jealous ex-boyfriend, she agrees to accompany Tessa and show her around, and maybe reconnect with some of her fellow Bridge dwellers. In time, and with the help of his hacker friends from the Walled City, Laney learns that Harwood has also taken 5-SB. He too has seen the nodal point approaching, and wants to shape its outcome to his liking. Although it not quite clear what its about, it seems to involve the Lucky Dragon franchise, and their incorporation or nano-assemblers in each of their outlets. In time, Rydell and Chevette arrive on the bridge, which is becoming a tourist attraction, and has a Lucky Dragon located just beyond it, with Rei Toei’s mobile projector. Several men show up and try to kill him, but he is helped unexpectedly by an assassin named Konrad – a man who is ostensibly in Harwood’s employ, but has chosen to switch sides. After rescuing him from the first assassin, Rydell and Konrad run into Chevette at a club. She takes them her old friend Fontaine’s watch shop, where he and a young boy named Silencio – an apparent mute who is obsessed with researching watches – take them in. When Harwood is informed that they are holed up and their assassins are dying off, he orders them to set fire to the bridge. Meanwhile, in cyberspace, Laney and his Walled City friends find him and confront him. He manages to escape into the folds, but Rei Toei comes to the little boy and tells him to find a special watch – a task which is in reality a trek to find where Harwood is hiding. They track him down, and he is neutralized. Laney and Chevette narrowly escape to Skinner’s old hideout at the top of the bridge, where they kill the last of the assassins and wait out the fire. Rescue trucks and airships begin dousing the flames, just in time to save the bulk of the population. Meanwhile, Rei uploads her program to the Lucky Dragon’s database, and when the nanoassemblers go online, they produce endless copies of her! As the nodal point comes and passes, things have changed, though not in the way Harwood wanted, and in a small cardboard box in Tokyo, Laney is found dead by some of his old associates. Much like its predecessors, this book advances the nanotechnology angle and brings it to an apparent conclusion. In book I, it was nanotech that was meant to be the means through which San Fransico was going to be rebuild after the Little Grande (aka. the Big One). It was also the means through which Tokyo was rebuild after said same earthquake. And many hints were dropped in Idoru that the character of Rei Toei, whose existence is strictly virtual, would be relying on it to manifest herself in reality. Alas, this finally seems to take place in this novel, where Rei uses the nanoassembly units in every Lucky Dragon around the world to produce copies of herself. In addition, the concept of the nodal point is brought to its climax, where Laney and Harwood, both people who are sensitive to such things, are able to see one which will mean the end of the world. Not in the apocalyptic sense, merely that it will be the end of the world as they know it. From this description it is strongly implied that this will amount to a technological singularity, an event where advancement will speed up to the point where no one can predict the outcome. And given all the mentions of nanotech, it is entirely possible that it will be central to this transformation. However, as I said earlier, this was not made clear. Much like with everything else at the end, explanations were lacking. What the big change-up involved, how Harwood planned to benefit, and how Silencio prevented that from happening… unclear! And Rei Toei’s involvement, her transformation and what purpose that served, also unclear. In essence, the climax just happens as describes, a few more short (really short) chapters tell what happened to all the characters once it was over, and the story ends. Little epilogue? Little conversation between the main characters explaining what they did and maybe what happened with Rei Toei? People learn the hero’s journey isn’t always an easy one? Ah, I enjoyed reading it. Like all of Gibson’s work, it did a good job of contrasting high-tech and low, commercial applications and the streets use for them. The disparity of wealth and power also makes it in, as well as the average Joe’s ongoing attempts to subvert and resist it. In the end, Laney (the gifted social outcast), Rydell (the bewildered everyman), and Chevette (the streetwise survivor), all play a role in bringing down a major tycoon who’s only goal is to put himself at the center of the new order. Still, some indication of what that new order was and the meaning behind all his moves would have been nice! And of course, the Walled City and Rei Toei make it back for their final appearances. Much like in Idoru, they are a shout out to the idea of artificial spaces, artificial constructs, and the line that separates them from that which is physically real. But rather than take a moralistic stance on the issue, Gibson’s approach was clearly towards the anthropological and sociological side of things. Mainly, he sought to show how humanity lives and adapts in an increasingly complex and changing world, and how the process is tied to the issue of control. Whereas everyone is effected by technological change and the social impact it has, it is clear that some are merely adapting whereas others have a degree of control over it. And as with much of his other works, it is the disparity between the rich and the poor that is most central to Gibson. Whereas the rich occupy the top tier of society in his books, living on the cutting edge of development in comfortable, state of the art environments, the poor wait for development to trickle down to them and use it for their own purposes, meanwhile living in improvised environments made out of what’s available. In the middle, there are the “freelancers” who understand the conspiracies and agendas and do their best to expose them, hoping to do right by all the people who occupy the bottom rungs of society. Nowhere is this more apparent than in the Bridge itself. Much as with the real life Walled City of Kowloon that inspired it, it all comes down to corporate interests who are trying to destroy, gentrify or commercialize it. 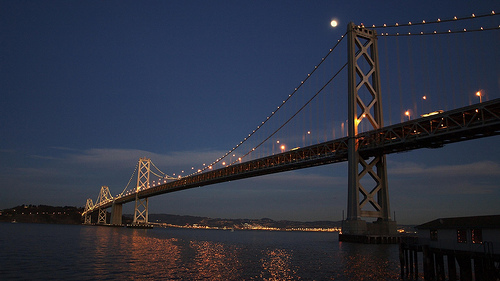 Whereas in the first novel, the story revolved around a plot to gentrify San Fransisco through nanotechnology, in the third, those same interests try to demolish the Bridge itself because it is clearly beyond their control. It is only through the know-how and the sacrifice of those who see the larger agenda at work that it is saved, unlike the real Walled City (which was demolished between 1993/4). So long Walled City, you will be missed! The second installment in William Gibson’s “The Bridge” Trilogy. Looking back, I don’t feel like I did the first book justice with the rather short review I gave it. Not to say that my overall opinion of the book has changed, but I feel like there were elements and angles that I should have delved into a little more. But since this book took place within the same general framework as the first, I shall rectify that here! So much better than re-editing old posts, don’t you think? What can I say about Gibson’s second “Bridge” novel? Well, for starters, I liked it! It was much more developed and intriguing than the first, to be honest. While Virtual Light was concerned with the sense of post-millennial shock, the disintegration of California and the US and the massive privatization thereof – calling to mind other books by Gibson and Stephenson’s Snow Crash – Idoru dealt mainly with the concept of celebrity and the nature of modern media. Although it is set just a few years after the events in the first novel, far less attention is given this time around to either the Pacific west coast or Japan’s experience of the big earthquake. It’s still there, just operating in the background and popping up on occasion to set the scene. 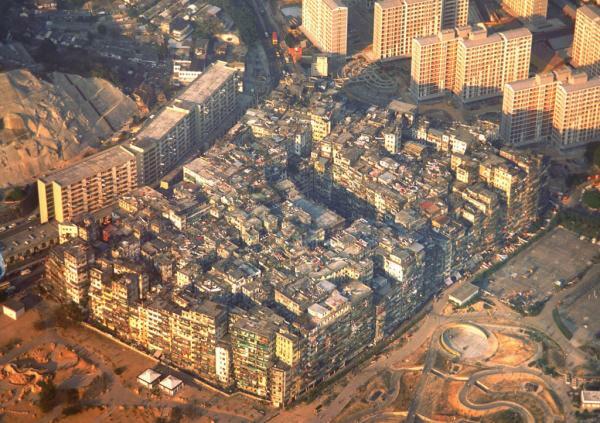 In addition, Kowloon’s Walled City makes an even bigger appearance this time around. In the first book, it is listed as the inspiration for The Bridge – aka. the Golden Gate Bridge that has become a community unto itself. This time though, it has matured into a cyberspace VR construct where people port in and live out their lives in a virtual environment. Like the original Walled City, it is a place for hackers, Otaku, and cyberpunks, people who live on the fringes of society in this day in age. In keeping with all of Gibson’s pre-Bigend novels, this is indicative of the disappearance of the middle class and the emergence of cyber communities as a form of resistance. This tribalistic behavior, taken into the digital realm, is not so much political as it is cultural. This is best exemplified by the character Chia Pet McKenzie, a teenager who also happens to be a member of the Lo/Rez fan club. Lo/Rez is a Japanese band, a clever pun on Low-res (i.e. low resolution), and the fan site is an international community that communicates via cyberspace. The concept of “nodal points” is also introduced via the character of Laney, a man who is apparently adept at finding these nodes in information patterns. After leaving a company named SlitScan, a media giant renowned for ruining celebrities by exposing their secrets, he is hired because his unique abilities make him useful to anyone looking to find these patterns. These two characters and the plot strands that involve them come together when Rez, half of Lo/Rez, announces he wants to marry Rei Toei, the Idoru (Japanese for Idol). The Idoru is a virtual creation, a holographic person, who is apparently achieved a measure of sentience. Laney is hired to find out, via Lo/Rez’s info, why he could be doing this and/or if anyone is manipulating him (like the Idoru’s people). Chia is similarly flown to Japan to determine the cause of this as well, but on behalf of the fan club. In any case, the two finally find a way to consummate their union by obtaining nanotechnology, apparently so they can fashion her a physical body. This, however, is left open, we never see if they pulled it off or not. All of this calls to mind several familiar Gibson themes. For starters, the concept of data mining, which makes an appearance in many of his novels. According to Gibson, the character of Laney is a fictitious rendering of himself, his ability being a metaphor for what Gibson dose on a regular basis in order to predict the future. This seems clear enough given that the theme has come up again and again in Gibson’s works (Cayce Pollard, another main character, did much the same thing in Pattern Recognition). Also, there is the concept of AI’s, digital sentience, and the increasingly blurred line between artificial and authentic. In addition, the influence of the mass media, the culture of celebrity, and the massive influence these two things plays on our society is featured throughout this book. In short, it asks the question of why people are obsessed with celebrities, want to be them, what it takes to be one, and why we want to ruin them so badly! It is also quite Warholian in how it addresses how fame has changed over time and how it is the industry that seems to determine who is famous, why, and for how long. Overall, I could see why this book was hailed as the book that cemented Gibson’s reputation. There’s a lot going on in this book! One can see many layers of technological, cultural and social commentary, punctuated as always by Gibson’s love of sub-culture, street life, and cutting edge things. In fact, this book was quite influential in the way it predicted virtual personalities, which is something that became quite big in Japan on or around the time of the book’s publication. It was also rather prescient in the way it delved into the kinds of tribalism that have become incredibly common with the internet. On top of all that, his delving into the world of media, celebrity and the dividing line between what is real and fake (exemplified by the marriage of Rei Toei) was executed with his usual subtle genius. That was one of the things I liked best about this novel. At no point was someone saying “You can’t marry a program! It’s immoral, unnatural!” Nor was anyone arguing in favor of it by saying “Look at the world today! There IS no line between real and fake anymore!” Everyone was concerned, most people thought he’d either lost his mind or was being manipulated, but no one came right out and ANNOUNCED it. This is something that people like the makers of S1mOne, who were clearly imitating Gibson, did do (just look at that title! What an obvious binary reference!). For one, the open ending. That applied to more than just whether or not Rez and Rei Toei ever achieved a physical union. That much I could understand given that it was the idea of it that was important, the exploration of whether or not it would ever be possible for a human and digital person to cross that boundary. But it also applied to other aspects of the story as well. For one, Laney’s ex-boss shows up deep into the story to blackmail him, and she is apparently disappeared by Lo/Rez’s head of security. We never find out if he really did anything to her or if he just scared her off. The plot thread involving her just disappears like it had become inconvenient and Gibson wanted to get rid of it. Perhaps it comes up in book three, but here, it was like a final act cut-off. This is something this book has in common with Stephenson too, ironically enough; the quick, choppy endings! And of course, some familiar old patterns also emerge in this book and have become apparent in this trilogy as well. The first pattern is one I’ve seen in every Gibson book I’ve read yet: having one man and one woman as main characters and either hooking them up, or pairing them off with secondary characters. Some examples include Chase and Molly in Neuromancer (who hooked up with each other), Hollis and Milgrim in Zero History (who had separate hook-ups), Chevette and Rydel in Virtual Light (together), and now Laney and Chia (separate). Mind you, I’m not calling this a weakness. In fact, most people would call it a convention; interesting stories need some degree of romance to keep them from being totally dry! But it does seem just the slightest bit repetitive this time around. He also switches main characters in the second book in this trilogy, which he did with the Bigend Trilogy too, but not the Sprawl one for some reason. Overall, a good book and a fun, fascinating read. I definitely recommend it for anyone interested in classic sci-fi or who, like me, is interesting in charting the course of cyber/post-cyberpunk literature. You see? This is the kind of treatment Virtual Light should have gotten! I’ll be sure to be this thorough from now on!